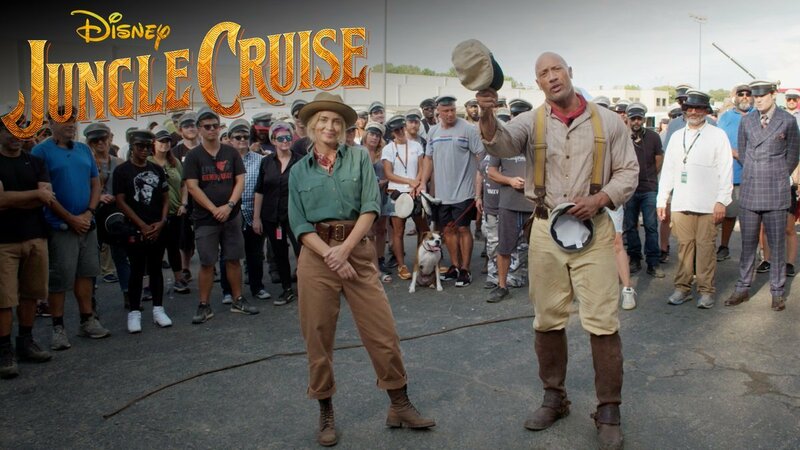 Disney has released a new video on Twitter featuring Jungle Cruise stars Dwayne Johnson, Emily Blunt, and the production crew in announcing that the upcoming adventure movie has wrapped filming. You can check out the video below! The new film stars Dwayne Johnson (Emily Blunt (Mary Poppins Returns), Edgar Ramirez (The Assassination of Gianni Versace: American Crime Story), Jesse Plemons (Game Night), Paul Giamatti (San Andreas) and Jack Whitehall (The Bad Education Movie). RELATED: New Behind-the-Scenes Photo for Disney’s Jungle Cruise! In Jungle Cruise, Johnson plays a boat captain who takes his sister (Blunt) and her brother (Whitehall) on a mission to find a tree believed to possess healing powers. Wild animals and a competing expedition figure into the proceedings. Ramirez is said to be one of the movie’s villains, a character with a conquistador background who is leading a competing German expedition alongside the baddie played by Plemons (Game Night). Jungle Cruise‘s script by J.D. Payne and Patrick McKay (Star Trek Beyond) was recently rewritten by Michael Green (Logan, Blade Runner 2049). Johnson will produce alongside his Seven Bucks Productions partners Dany Garcia and Hiram Garcia, as well as frequent collaborator Beau Flynn (San Andreas, Baywatch) of Flynn Picture Co. John Davis and John Fox of Davis Entertainment will also produce. Jungle Cruise will join the ranks of films Disney has created based on their theme park attractions, including The Country Bears, The Haunted Mansion, Mission to Mars, Tomorrowland, and the most popular, Pirates of the Caribbean. Disney plans to develop the film as a possible franchise in the same vein as Pirates of the Caribbean. The film began production in May and will film through the summer. The action film is set to be released on October 11, 2019. The post Disney’s Jungle Cruise Wraps Filming with Cast & Crew Video appeared first on ComingSoon.net.